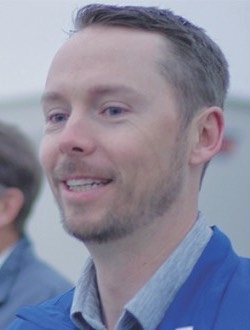 Among its staff, Mark Miller Subaru in Salt Lake City, Utah, maintains a force of concierges for pickup and drop-off services as well as helping customers understand their vehicle’s technology. Mark Miller Subaru in Salt Lake City is preparing for the digital future by employing concierges who meet customers where they are for vehicle delivery or service pickup. Mark Miller Subaru is betting that by the end of 2021, 20 percent of its sales and service customers won't set foot in the dealership. How will the retailer make that happen? Dedicated concierges who deliver newly purchased vehicles to buyers or pick up a car for an oil change. After hiring its first concierge in 2016, Mark Miller now employs 13 at its two Salt Lake City-area stores. As the dealership group prepares for a larger digital future, meeting customers where they are is becoming a vital service. While there's no way to quantify how the service has boosted repeat sales, said Jeff Miller, general manager at Mark Miller, customers regularly submit positive feedback through dealership surveys after receiving personalized attention from dealership concierges. The vast majority of Mark Miller Subaru customers already are repeat buyers. "More people want you to come to them versus them coming to us," Miller said. "Is it for everybody? No. But we think there's a pretty solid group of people out there that don't want to drive their car to a dealership." When the program began, a handful of hourly employees were charged with delivering vehicles to online customers and walking them through the car's technology at their homes. The concierge role expanded last year with the launch of Mark Miller Direct, the company's complimentary pickup and drop-off service, which is tethered to Subaru's two-year free-maintenance offer. Today, Mark Miller's concierges make between 10 and 20 house calls a day within 30 miles of the dealerships. 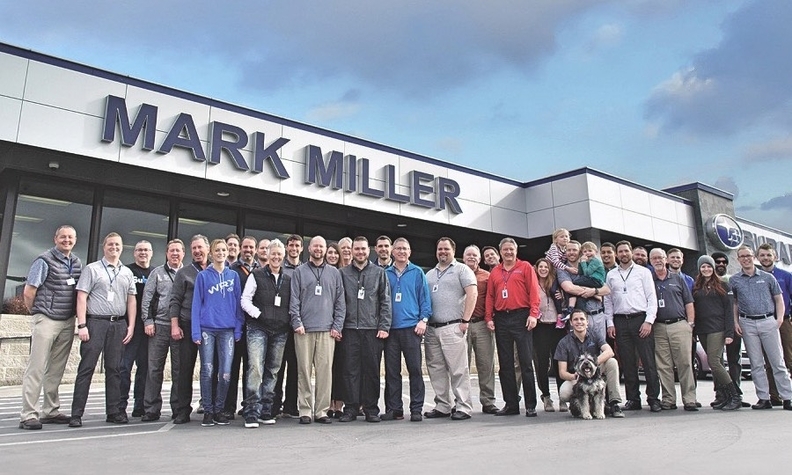 If more customers begin to use Mark Miller Direct, Miller projects that the concierge department could grow to 20 employees between the two dealerships. There's still a long way to go to hit that 2021 target. Today, around 3 percent of vehicle sales begin and end online, and 3 percent of service customers use Mark Miller Direct for service. Hitting the 20 percent goal would mean online sales and concierge delivery of about 90 vehicles a month, based on Mark Miller Subaru's current monthly sales of 450 new and used vehicles. And about 150 fewer service customers would physically come to the stores, Miller said. Concierges use the dealership group's Uber Business account to catch a ride-hailing vehicle to or from the store when they make a delivery or pickup. They aren't focused on closing sales, Miller said, which frees them to focus on customer needs. They can spend as much time as necessary with customers outside of the dealership to walk them through everything from using vehicle infotainment systems to programming garage door openers. That promotes better customer satisfaction. By contrast, Miller said, a salesperson conducting a delivery might get impatient with longer appointments. "Human nature is that he's going to be looking out the window for his next deal," Miller said. Mark Miller began deploying concierges before Subaru's national launch of its Love-Encore program in 2017. Through that program, customers can make one-on-one appointments with a Subaru Star Delivery Specialist within a month of purchase to address questions about the vehicle and its systems; they receive a complimentary gas card. About eight of the concierges at Mark Miller have gone through Subaru's Star Delivery training. A side benefit of the Mark Miller concierge program is that it has set up an active pipeline of potential sales and business development center employees. Most concierges are in their twenties, and some are college students working between classes. An assistant service manager at one of the stores started as a concierge. Mark Miller has implemented other changes as it prepares for a digital future. Those include no-haggle processes for vehicle sales and in the finance-and-insurance office. Digital sales require price transparency online, and a one-price approach keeps transactions as consistent as possible, Miller said. Since the one-price program began four years ago, employees are selling more cars, with average sales going from 10 to 12 vehicles a month to 14 to 16. In 2017, Mark Miller stopped discounting products and financing. Notable exceptions include the group's VIP customer program, where customers who have purchased several new vehicles or have frequently visited the service department are offered a standard discount on bundled F&I products. Other changes are in sight to prepare for digital sales. Becoming paperless is another Mark Miller goal for 2021. Though not every program tried has increased profits, the dealership group is better positioned to maintain operations in a changing retail landscape. "This is how you're going to remain competitive, especially with the car dealership world becoming so much of a big group market," Miller said. "It's really important — especially for the smaller dealer groups or the individual dealers — to find ways to differentiate themselves, and the easiest way to make yourself stand out as a car dealership is by providing incredible services and processes that customers want, not processes that you think work for you."